Smart speakers like the Apple HomePod are at the heart of any smart home, but they require you to talk to an AI assistant, and being in the home they’re likely to be used by multiple people, which can be a problem if there’s just one profile on them. However, that could be something Apple will soon solve. The patent describes the ability for Siri to store multiple user profiles and to recognize who’s talking to it based on the user’s voice, which the patent describes as a 'voice print'. That way it could give tailored responses relevant to that user, such as things that are in their calendar. But it could also improve privacy, as this could also stop Siri giving away privileged information (such as the content of messages) to the wrong user. The system would apparently also allow Siri to build up a library for each profile, based on a user’s word and app usage among other things. In this way it would more accurately be able to understand a request. This filing appears to follow on from an earlier patent application by Apple which came to light in April 2017, and detailed that Apple was working on a new security feature that identifies the acoustic properties of a user's voice before allowing them to use assistant. These sorts of features seem a logical next step for Siri, especially if Apple is serious about making inroads into the smart home, but it’s worth noting that this is just a patent, one of a huge number filed by the company, many of which never get implemented. 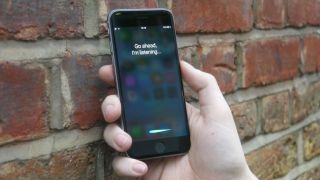 As such we wouldn’t count on seeing multi-user support for Siri imminently and it may not happen at all, but we also wouldn’t be at all surprised if it’s in the works.